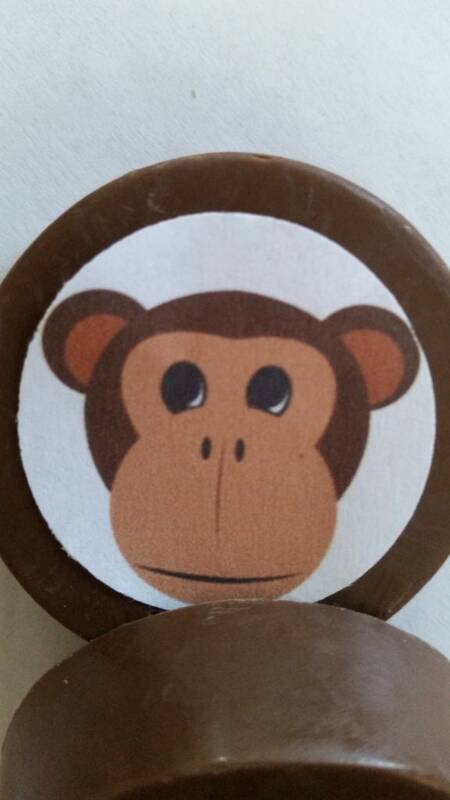 24 Edible Image Monkey lollipop or oreo- YOUR IMAGE can be used! ANY message or photo on a chocolate covered oreo!!! Send me the message or the photo and it will be printed on vanilla frosting paper and applied to an oreo of your color choice! These delicious milk OR vanilla chocolate covered Oreos are made-to-order and will make a perfect addition to your baby shower / party / announcement. They can be used as a party favor, thank you, centerpiece arranged in a dish or a cake topper. 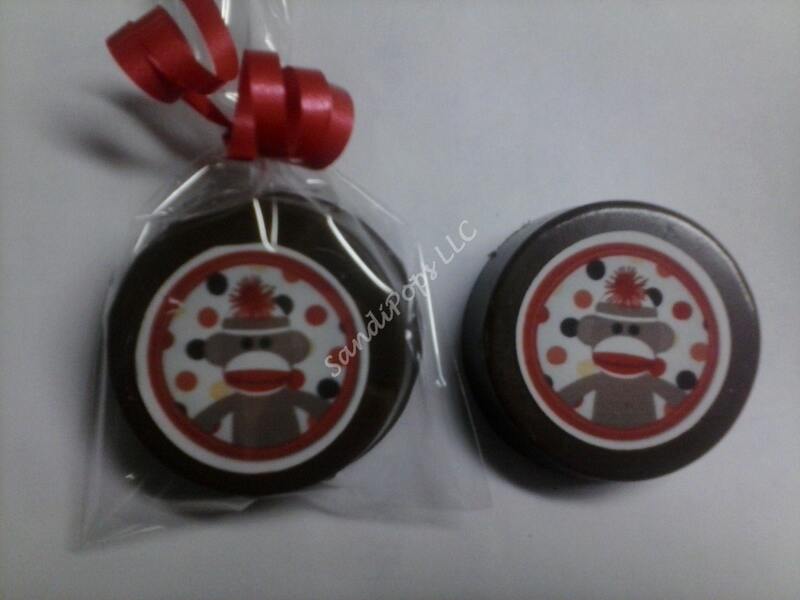 This listing is for 24 custom edible image oreos. Each cookie is individually wrapped in a bag and tied with a curled ribbon in a corresponding color. I can certainly make any number of cookies you need, convo me for pricing. I will make what you want, lets chat about the pricing of custom orders. 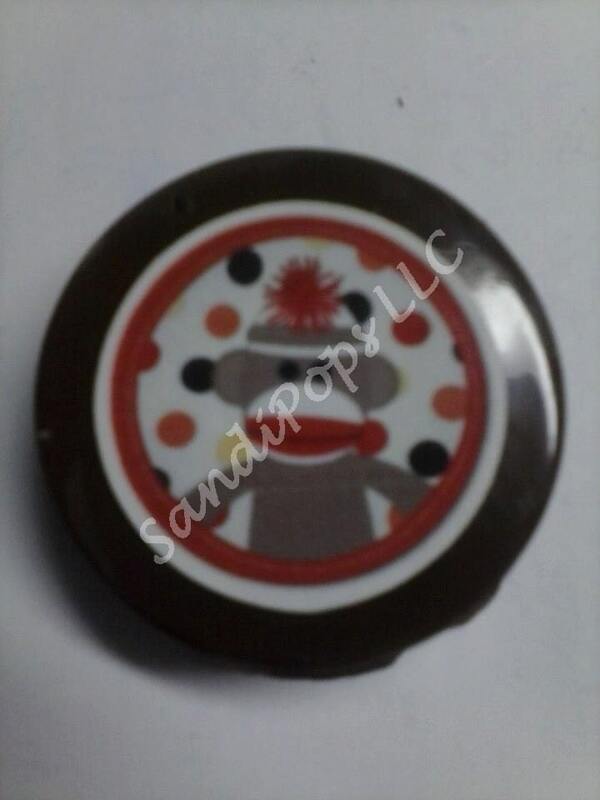 ALSO available are chocolate dipped pretzels, and I can also make cupcake toppers and cake topper to match. 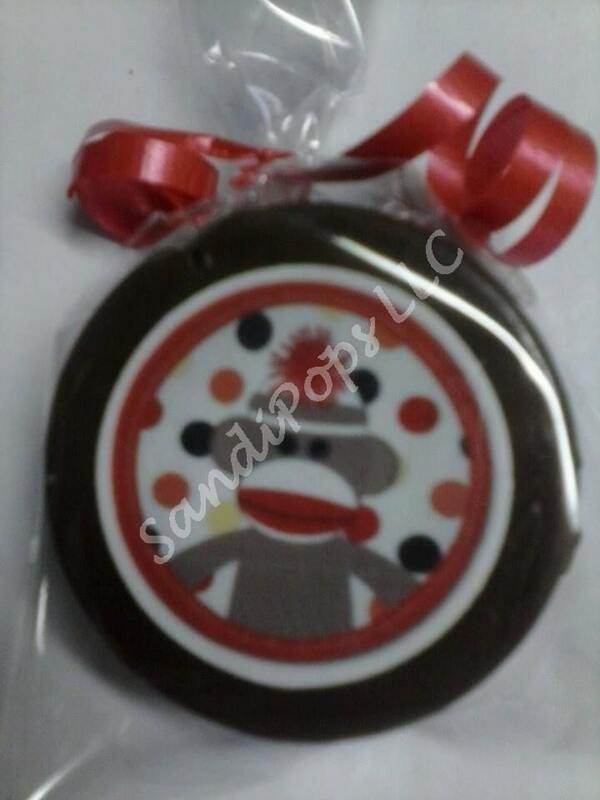 *** SandiPops is in no way affiliated with Sock Monkey. This is a sample photo of custom order that someone sent an image for.